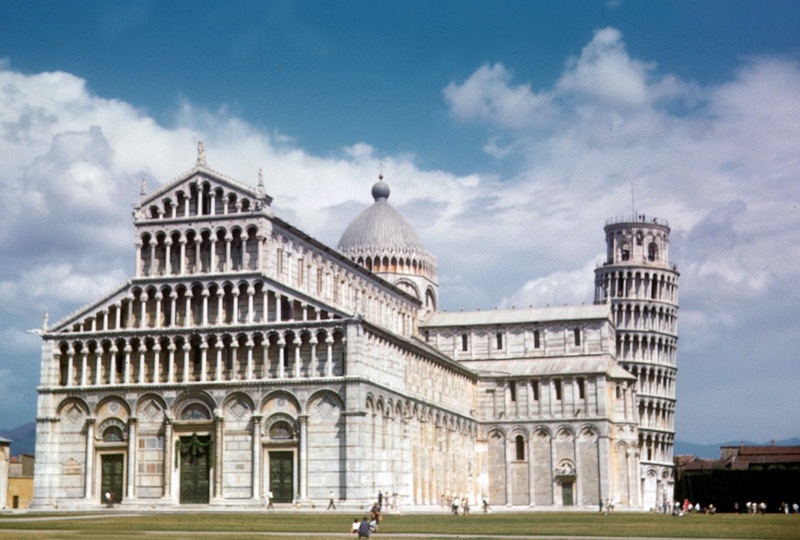 I should ask my parents why they chose Milan and Pisa for their honeymoon. I've never visited but I should before the tower falls down. This is the Duomo, the medieval cathedral of the Archdiocese of Pisa in 1961.